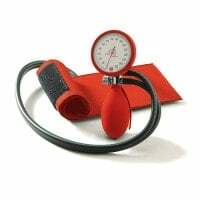 If you need a sphygmomanometer, a digital or a 24-hour blood pressure monitor, then you will enjoy our huge selection of high-quality blood pressure monitors from name brand manufacturers, such as Omron or Beurer. From compact devices for the wrist to precision blood pressure monitors with large cuff circumferences for the upper arm, we offer the proper device for every requirement. Discover our wide selection of high quality wrist and upper arm blood pressure monitors from renowned manufacturers such as ERKA, boso, Omron and Riester. 24 Hour blood pressure monitors note the patient's blood pressure throughout the day, thus helping to prevent white coat hypertension. Sphygmomanometers ensure very precise measurement results when used correctly, which is why many doctors prefer to use sphygmomanometers and stethoscopes. The accuracy of a blood pressure measurement is dependent upon the proper fit of the blood pressure cuff, among other things. In our category «Blood Pressure Monitors» we offer you compatible replacement blood pressure cuffs for many sphygmomanometers and fully automatic blood pressure monitors at affordable prices. The blood pressure monitor, often a sphygmomanometer, is a medical product used for determining systolic and diastolic arterial blood pressure. The measurement with the blood pressure monitor is carried out in a non-invasive fashion; based on device type, the measurement is usually taken on the wrist or with a cuff on the upper arm. In the past, blood pressure monitors were only found in surgeries, clinics or pharmacies, but with the onset of progressing digitalisation in recent years, they have found their way into many private households i.e. 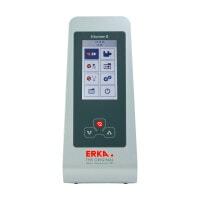 for daily pressure monitoring of hypertension patients or for monitoring the blood pressure of patients with arrhythmias. 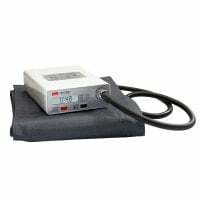 In our online shop, we offer you sphygmomanometers and fully automatic blood pressure monitors, as well as 24-hour blood pressure monitors in various models from renowned brands, such as Omron, Erka-Kallmeyer, Medisana or Beurer. Furthermore, you will find blood pressure cuffs for individual arm circumferences, as well as disposable protective strips among our supply. 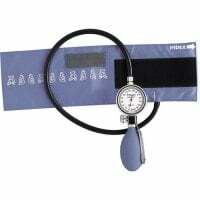 A sphygmomanometer is mostly used with a stethoscope and delivers particularly high measurement accuracy. Sphygmomanometers typically consist of a manometer, a tube and a cuff. With these devices, the patient's blood pressure can be determined via a measurement on the upper arm. With sphygmomanometers, it is important to choose the proper cuff size, as the cuff circumference should be in accordance with the upper arm circumference of the patient. In our online shop, you can choose your sphygmomanometer from a plethora of devices from renowned brands and manufacturers, such as ERKA, Riester or Welch Allyn. 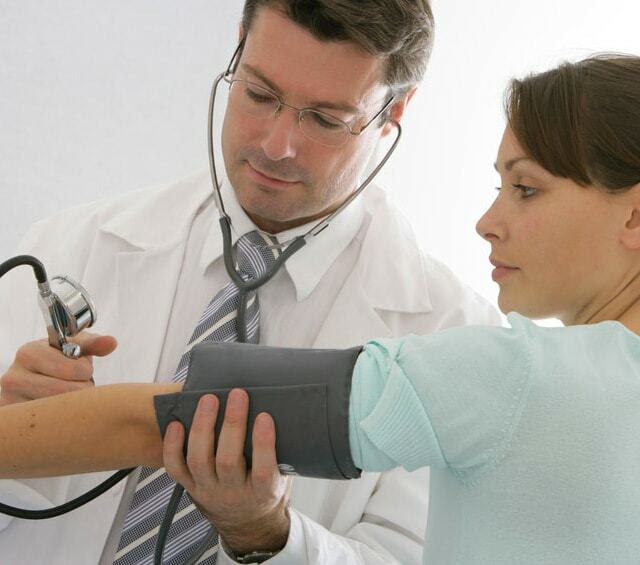 Here, you will also find the proper stethoscope for your sphygmomanometer. The digital or fully automatic blood pressure monitor measures the blood pressure with only a push of a button, while simultaneously checking the pulse. 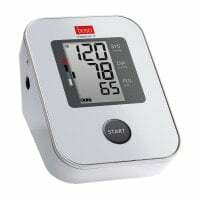 Based on model and configuration, this convenient blood pressure monitor offers you various extra functions, such as storage space for previous measurements, clock display, automatic switchoff, battery change display or an average value display. Some devices also have arrhythmia recognition. Digital blood pressure monitors function either on a portable basis with a battery or on a stationary basis with mains power. Fully automatic monitors are available for the upper arm or the wrist. When measuring on the wrist, it is important to correctly position the blood pressure monitor and to ensure that the arm is at heart height so as not to falsify the results. As a rule, the cuffs can be exchanged on digital blood pressure monitors, if a larger cuff circumference is needed for an upper arm measurement, for example. Whether you prefer Beurer, Medisana, Omron or Welch Allyn: At Praxisdienst, you can choose your digital blood pressure monitor from a comprehensive assortment of renowned manufacturers and brands. A blood pressure cuff with velcro or a clip is required when using a digital blood pressure monitor for upper arm measurement. Some digital blood pressure monitors measure the arterial pressure on the upper arm using the compatible cuff. In addition to the proper cuff positioning, the choice of the proper cuff size is an important factor in order to receive the most reliable results. Specially designed for larger patients, there are also interchangeable cuffs with a large cuff circumference. In our online shop, you will receive blood pressure monitors and sphygmomanometers from name brand manufacturers, such as Omron, Medisana, Beurer and Riester, at fantastic prices! 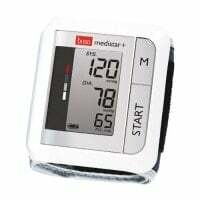 You would like to purchase a blood pressure monitor and have questions about our products or an order? Our friendly customer service agents will gladly help you further!